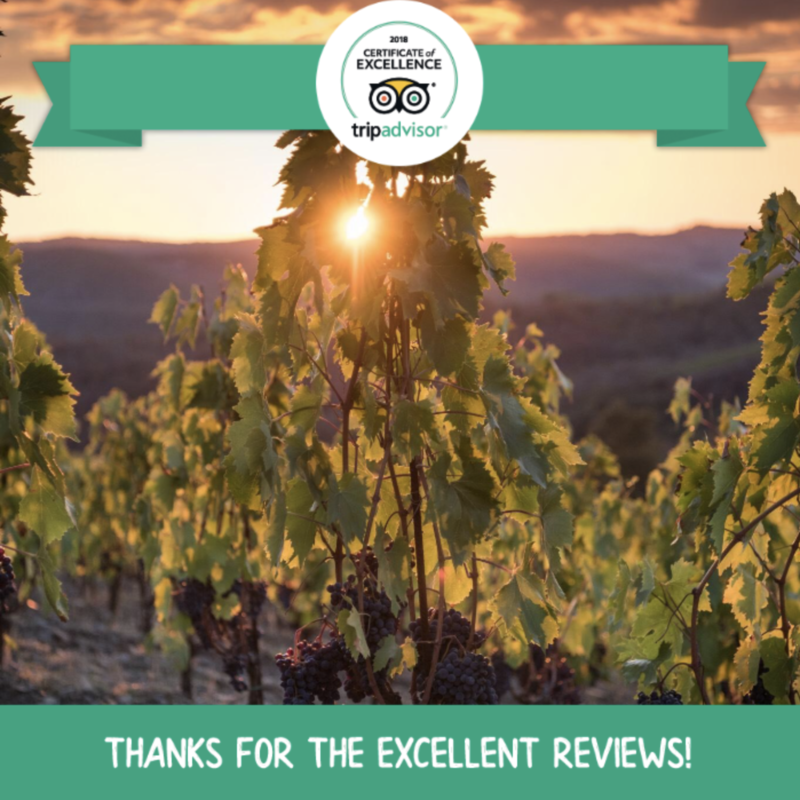 We would like to thank all of you who have visited us and written great reviews on TripAdvisor about your wine tour experience at our winery. We just got an announcement via email from TripAdvisor that we have been recognized with a 2018 Certificate of Excellence. The certificate is based on all the fantastic reviews all of you have written about us. Decanter World Wine Awards 2018 - Silver for us! Decanter World Wine Awards just announced the medals awarded this year and we, of course, got an email too with great news. We are very happy to let you know that we have been awarded Silver medals for Quinta Essentia 2013 and Chianti Classico Riserva 2012 by Decanter. Christmas is a cosy time of the year that we usually spend with our family and the people we love. It is also a time of good food and wine, so to make the festive season even more special, Dynamiq has partnered up with an award-winning Tuscan winemaker based close to its shipyard in Viareggio. The Montemaggio estate comprises 70 hectares in the heart of Tuscany’s Chianti Classico region, one of the prettiest and most highly prized wine-producing areas in Italy. During the grape harvest, which is carried out entirely by hand, the fruit undergoes careful selection in the vineyard and again later in the winery. This hand-made approach to winemaking ensures that the finished product preserves the natural ‘terroir’ or distinctive qualities of the climate and soil where the vines are cultivated. The process is not unlike the Italian craftsmanship and Dutch engineering that defines each and every Dynamiq superyacht. 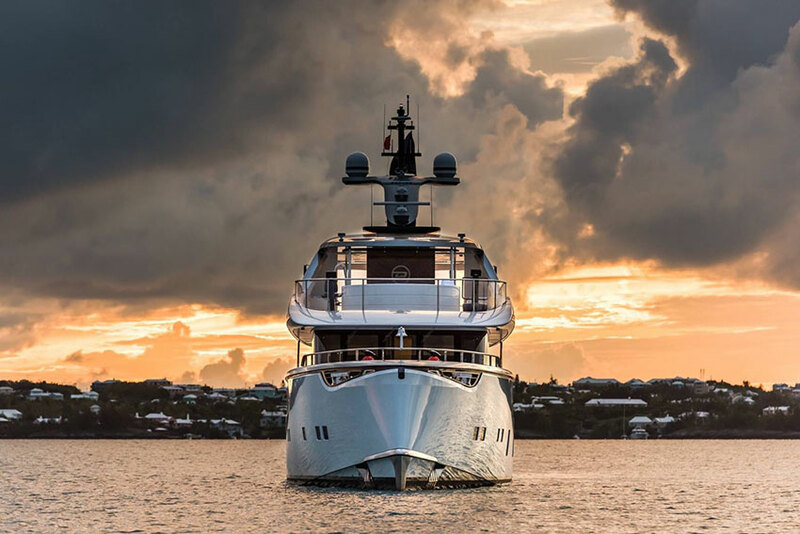 Quality, performance and innovative design are the cornerstones of the brand’s philosophy, resulting in the most aesthetically striking and technically advanced yachts in Dynamiq’s chosen size category of 27–50m. Dynamiq has completely reinvented the yacht-buying experience with its Online Configurator that allows owners to choose every detail of their purchase – from paint colour and underwater lights to general arrangement and interior décor options ­­– in real time and complete transparency. And now you can add a supply of bespoke Montemaggio wine to the exclusive list of options! Satuday 27th and Sunday 28th of May, the 22° Edition of the Annual Wine Fair “Radda nel Bicchiere” takes place in Radda in Chianti. During this edition, wine lovers will get to know the similarities and differences of Radda in Chianti’s Tuscan wines and Valpolicella’s wines. Below you find the programme of the event. Opening of “Radda nel Bicchiere”. Wine tasting of Radda’s best wines introduced by the local wineries. Glasses will be sold from 3 to7 pm. Presentation of the book “ Racconti in Nuce ” by its florentine author Leonardo Romanelli – writer, journalist, cook and sommelier. Glasses will be sold from 11,00 to 6,00 pm. 10° Blind Wine Tasting’s Edition of “Radda nel Bicchiere”. Award Ceremony of the 10° Blind Wine Tasting’s Edition of “Radda nel Bicchiere”. Vertical Tasting at Vinitaly 2017! Thank you very much! It was a pleasure to present our wines and spend some time with you at Vinitaly! From March 3rd to the 5th there will be the MonteMaggio Cup 2017, the final closing regata of the Melges 20 Winter series 2016-17. 24 teams, who have arrived to the final event with various levels of success, will compete. You can follow the event live on Barracuda Communications website here or read the updates on their Facebook page. 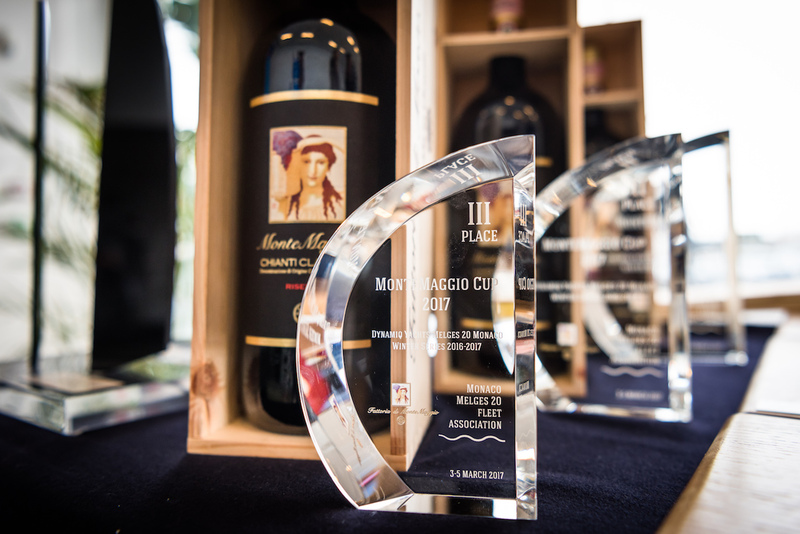 We will be watching the competition very closely as the prize to the winners will be some Magnum Bottles of Chianti Classico Riserva di Montemaggio of various vintages! For more info about our Gran Selezione, click here. As promised below you can download the backgrounds for your desktop that we created with the pictures that have received more “Likes” on our Facebook Page. 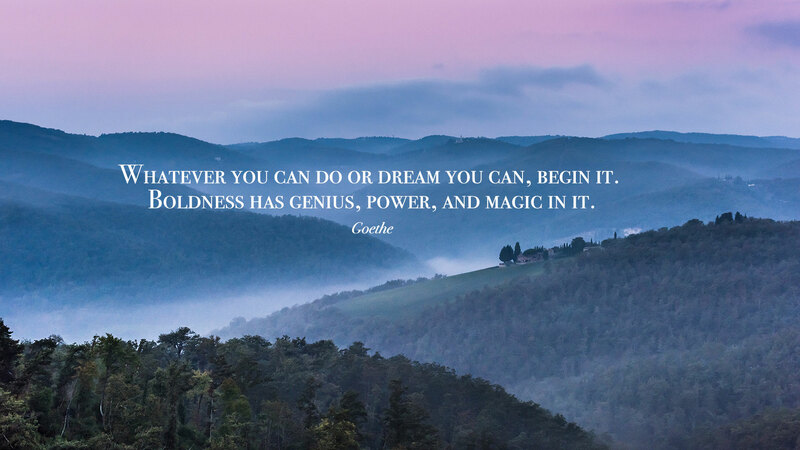 Every image has a quote of Johann Wolfgang von Goethe, with which we want to give you our special wish for a wonderful New Year! This is the video that was broadcasted on Teleregione Toscana where Ilaria talks about Montemaggio with Leonardo Romanelli and Gaia Nanni! Thanks James Suckling for Their Review! We are so honoured that our wines received a positive score from James Suckling, one of the world’s most influential wine critics. Below you can see the score that our wines received. Give us a budget and an address to deliver the present and we will give you a no-obligation estimate! In November we will take part in the following events. 12 – 13 November: Vinoè (“Stazione Leopolda” in Florence). For more info, click here. Come and taste our wines and other organic products! From October 15th till the 17th we will be at the wine and food event “Milano Golosa” in Milan and we will be happy if you come and visit us to taste our excellent Tuscan wines paired with delicious Italian food selected by the Sole24ore national newspaper journalist and wine and food lover Davide Paolini! Before the event starts, on October 14th at 6pm we will participate at a special event together with other important Chianti Classico wines’ producers to celebrate the 300 years of Black Rooster, the symbol of Chianti Classico excellence at Dilmos in via Solferino in Milan. Come by to celebrate together with us and with our Tuscan wines! For more info on the “Milano Golosa” event visit www.milanogolosa.it. To let us know that you will attend this event, visit our event page, click on “going” and leave us your name and the number of people that you will come with! We are happy to announce that our wines got awarded by the <strong>2016 Decanter Asia Wine Awards, </strong>the most prestigious wine competition in the world. Below you can see all the details about the winning wines and the awards and points received during the competition. Find out about the wines of Montemaggio <a href=”http://www.montemaggio.com/lang-de/wines-2.html”>here</a>. Radda goes back to the Renaissance this weekend! On June 25th and 26th, Radda in Chianti goes back to the past to celebrate the authority of Radda during the Renaissance period, Francesco Ferrucci, also known as Ferruccio during the event “Radda Rinascimentale” (Renaissance Radda). It will be a real full-immersion in the Renaissance period. In the tiny village’s street there will be local crafts markets, ancient games, musicians, jugglers, flag wavers, stilters, labs for kids and street food stalls with lots of delicious food such as “ficattole”, crepes and roasted sausages and the local beer. Saturday June 25th the ancient soccer game called “palla in botte” (ball in the barrel) will take place at 4pm in Piazza Ferrucci. If you are around, don’t miss this event! 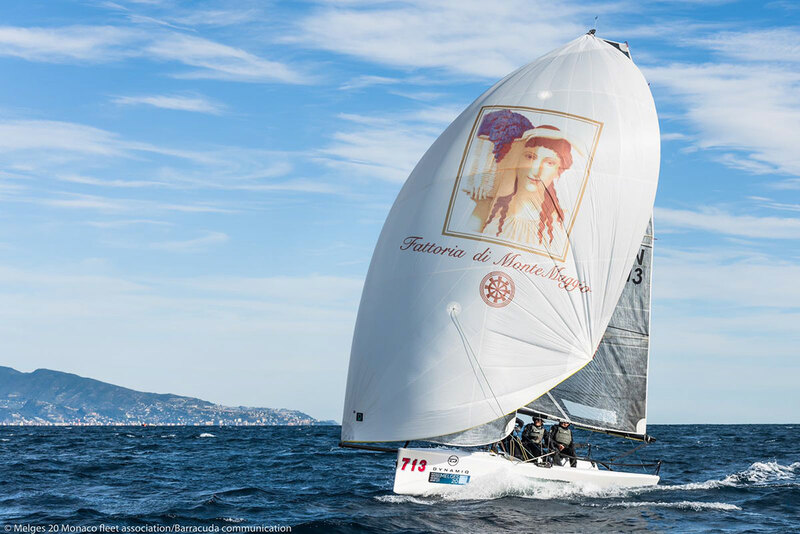 This year Fattoria di Montemaggio sponsors the Russian team, Synergy GT, in the Melges 20 Championship of the Sailing Series®, one of the most prestigious sailing events in the world. The Melges 20 Championship of the Sailing Series® consists of several stages that are held in some of the most beautiful holiday villages in Italy: Porto Venere, Porto Ercole, Talamone, Riva del Garda, and Scarlino. Read the full article and see the calendar of the next competitions here. Come and visit us at the annual wine fair "Radda nel Bicchiere"
Satuday 4th and Sunday 5th of June the 21° edition of the annual wine fair “Radda nel Bicchiere” takes place in Radda in Chianti. During this edition, wine lovers will get to know the similarities and differences of Radda in Chianti’s Tuscan wines and Mount Etna’s Sicilian wines. 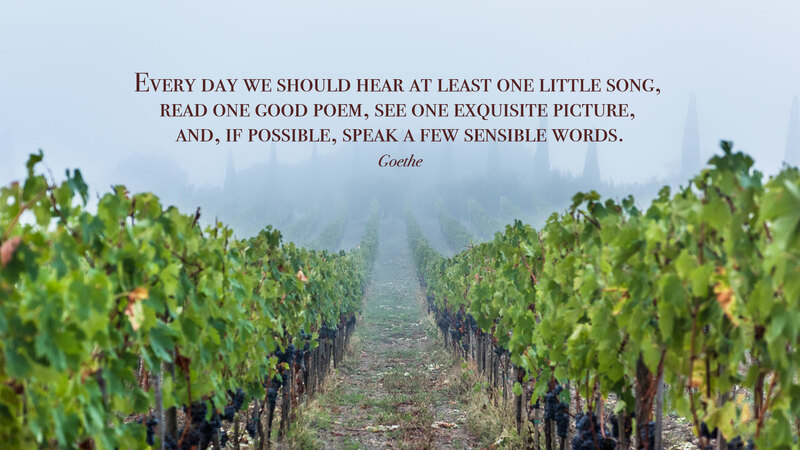 All wine lovers are welcome to come and spend some time with us. We are happy to announce that our wines got awarded by the Decanter World Wine Awards, the most prestigious wine competition in the world. 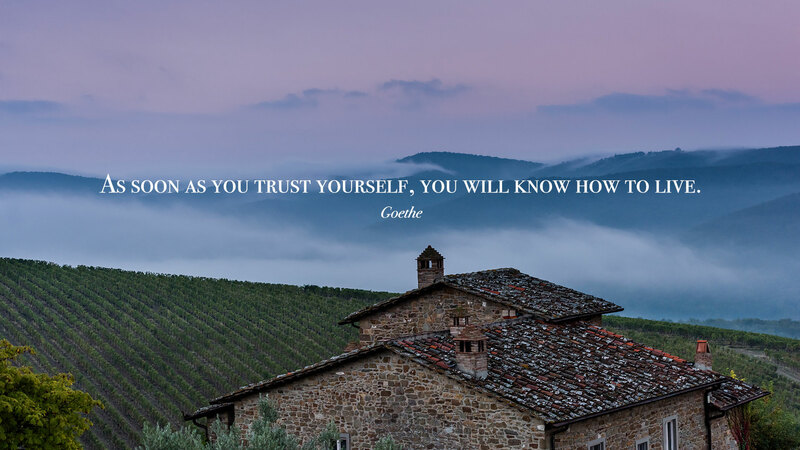 As Valeria Zavadnikova, owner of “Fattoria di Montemaggio” states “For us it is a great satisfaction and confirmation that we are going in the right direction with our work and with our products. It is also a confirmation that our wines are appreciated more and more in Italy and abroad. 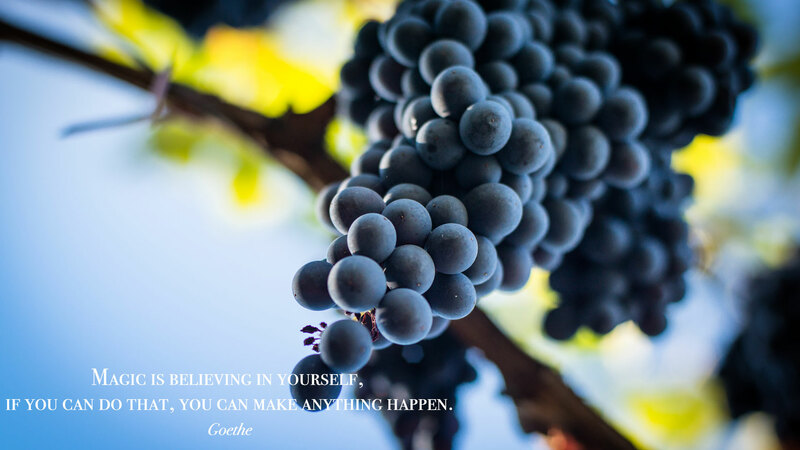 This is very rewarding for us as our main goal is to offer excellent wines and let people around the world know all the authentic and unique characteristics of the territory where our wines are produced”. Chianti Classico is the wine that belongs to this area: the Chianti. It is a wine characterised by an elegant and delicate bouquet, very versatile, perfect for every occasion. The 2011 year was very hot in August, but as Montemaggio is on top of a high hill, the grapes did achieve the optimal ripeness, without becoming overly ripe as in other areas that are located at a lower altitude than Montemaggio. This wine was created for the husband of the owner of Montemaggio as a present for his birthday. It is a wine made with love and a precious gift. It is a blend of 60% Merlot and 40% Sangiovese. This wine has a full taste with velvety tannins and it is well balanced and persistent. It has a perfume of red fruit with a touch of mineral and earth. 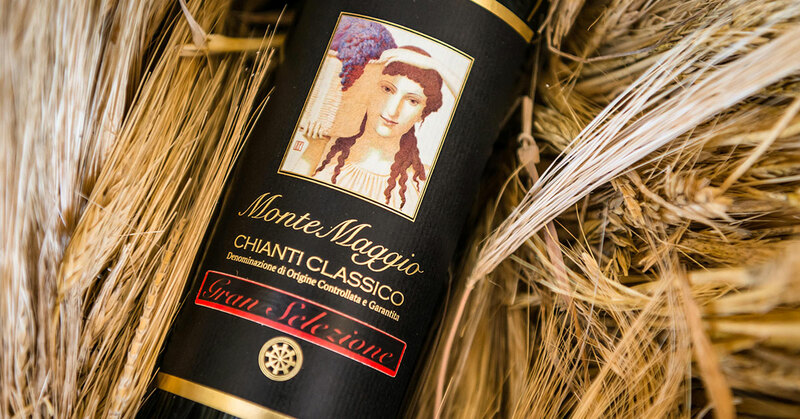 Chianti Classico Riserva is a wine produced with the best grapes of Sangiovese of the oldest vineyards of Montemaggio. The 2010 year was a good year and from the harvest we were able to produce an excellent wine. This wine has an intense and elegant bouquet and a full, rich and velvet-smooth taste. Torre di Montemaggio is obtained from the best grapes of Merlot. It has a full taste with velvety tannins and a pleasant freshness and persistence. It has a delicate perfume that it is an ideal companion to elaborate courses or more experimental dishes. Find out about the other wines and products of Montemaggio here. Dear Funs and Friends, we take this opportunity to wish you the most wonderful Easter 2016! 20 ANNI A LA CORTE : 28 FEBBRAIO 2016 dalle 15:00 alle 22:00 - presentazione del libro "1996/2016 20 ANNI A LA CORTE"